"Actually, I know exactly what it is." A good crew tasked with a mission will complete it with no questions asked. Some missions require some questioning though, even if the answers to those questions often breed even more uncertainty. 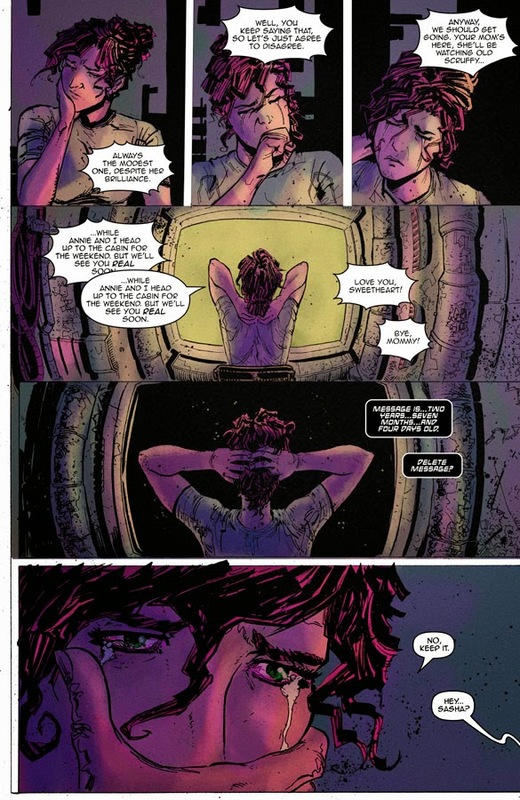 Roche Limit: Clandestiny #1 from Image Comics delves into the mysteries of space exploration and one group's mission, however terrifying it may be. 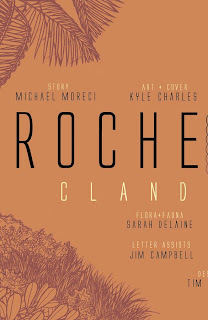 The issue is written by Michael Moreci, illustrated by Kyle Charles, colored by Matt Battaglia and lettered by Ryan Ferrier. It's 75 years after the events that left the Roche Limit colony in flames. 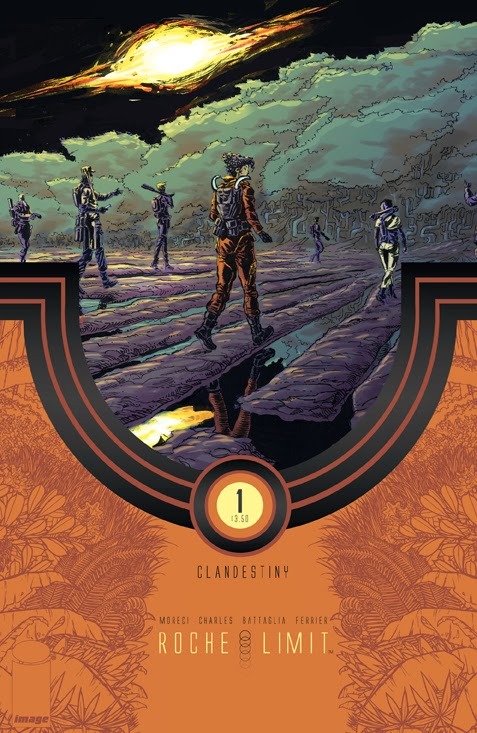 When a crew of military and science personnel are sent to the forgotten and desolate planet on a mysterious expedition, they quickly learn its dark secrets-and that their mission is not what they thought it to be. With danger lurking all around, the crew members fight to find a way off the planet and resist the mysterious presence that haunts them all. 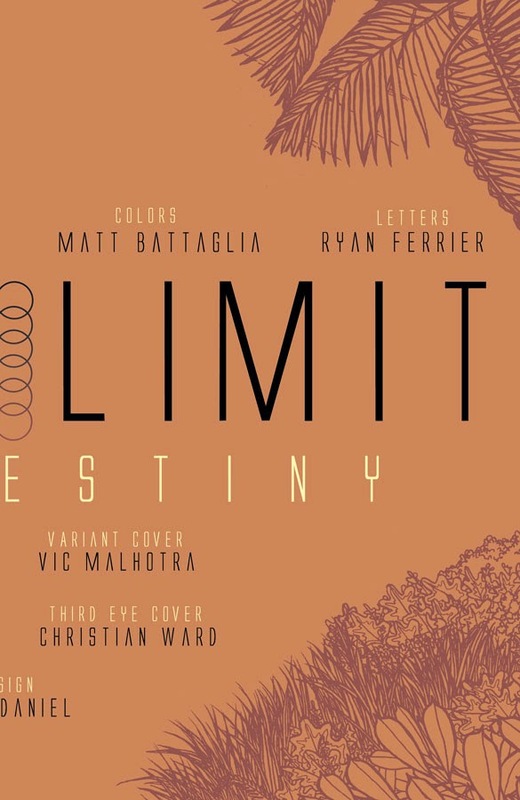 Moreci blends together a lot of familiar elements in Roche Limit: Clandestiny #1 in a way that works pretty well. The most obvious comparison is Prometheus and although Roche Limit: Clandestiny #1 is decidedly less gory, it still manages to work in many of the horror elements that come along with exploring an alien planet. Sasha and the others are essentially at wit's end with their predicament, struggling to find meaning in both their mission and their current predicament. Roche Limit: Clandestiny #1 picks up after the first series, but Moreci doesn't let that be a stumbling block for new readers, offering a tale that's pretty self-contained and accessible to new readers. 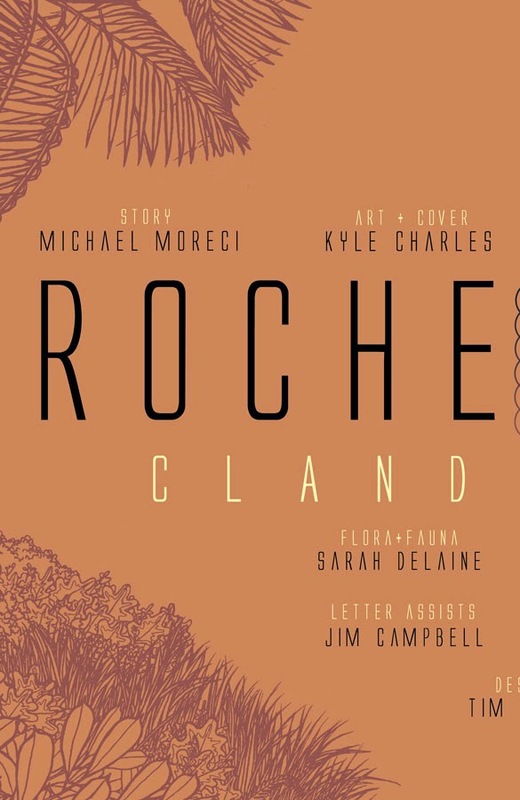 The entire first issue has enough of a hook that many readers will be keen to see where the series goes next, courtesy of Moreci's evenly paced storytelling. 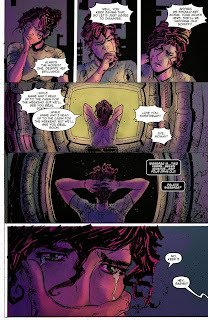 Charles adds and interplanetary look to Roche Limit: Clandestiny #1 that fits within the narrative created by Moreci. There's a griminess to the art that helps sell the notion that these explorers are strapped for resources, fighting to complete the mission with what they have on hand. 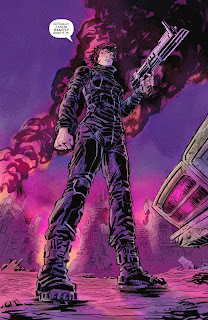 Charles doesn't shy away from relying heavily on scratchy-looking illustrations of characters or settings to further underscore the scrappy mentality. 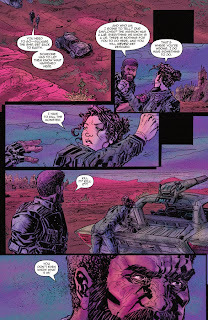 Battaglia's colors wash the book in blues and purples indicative of traveling through space, working in reds and oranges for more dangerous settings. 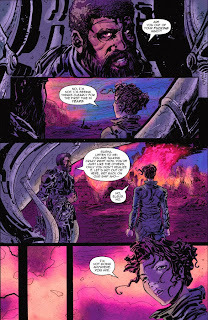 There's particular series of panels where Charles' and Battaglia's styles really come together to portray a pretty harrowing event for the ship and its crew that evokes a sequence in an action-adventure movie. 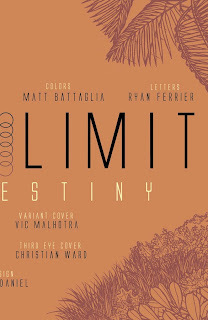 Roche Limit: Clandestiny #1 is going to be on the list of those who read the first series, but everyone can find something in the book that they will enjoy. The issue starts off a pretty fascinating science-fiction tale that takes the characters to the unknown regions of space. Moreci's dialogue is crisp and reflects a different mindset for the society the characters live in. 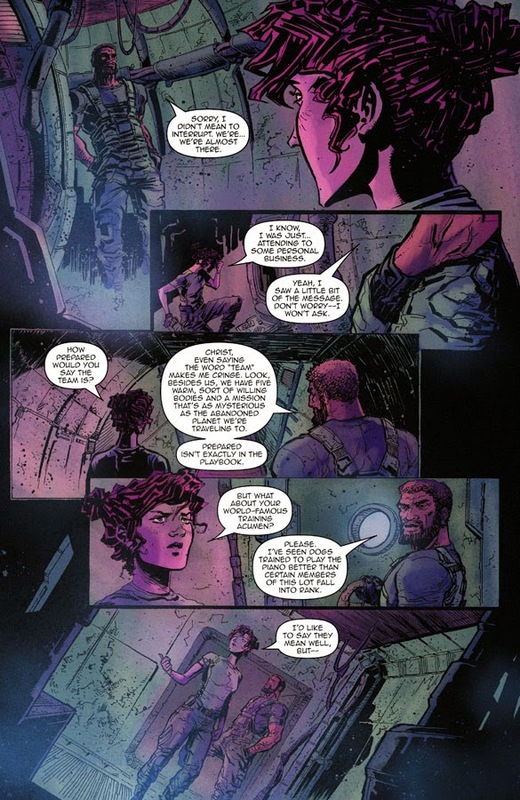 Charles' art is harshly done in a way that adds another layer of terror to the mystery surrounding the mission the characters have undertaken. 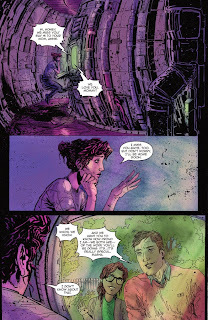 Roche Limit: Clandestiny #1 is a great first issue that capitalizes on the fear of exploration. Roche Limit: Clandestiny #1 is in stores now with interiors below.